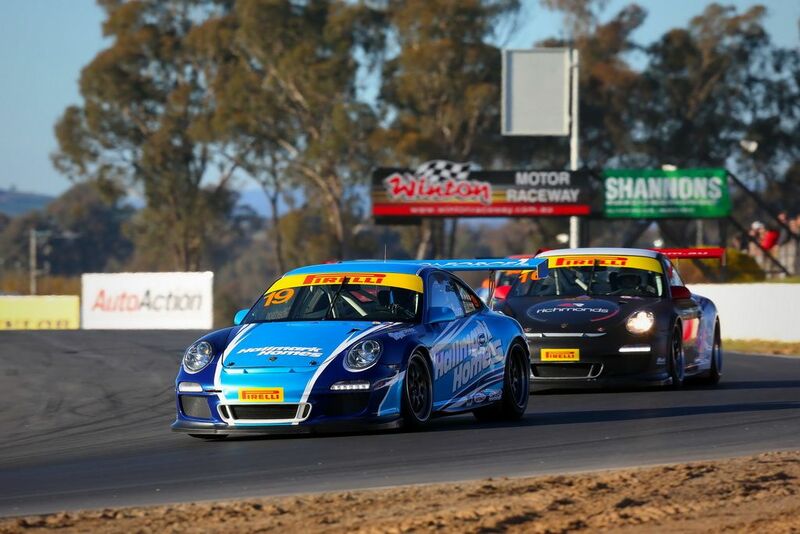 As the last GT3 Cup Challenge round at Phillip Island was only two weeks ago, we have had a busy time with some repairs to do on Anthony's car to get it back to MR race spec, as well as preparing three Carrera Cup cars for the following weekend at Darwin. 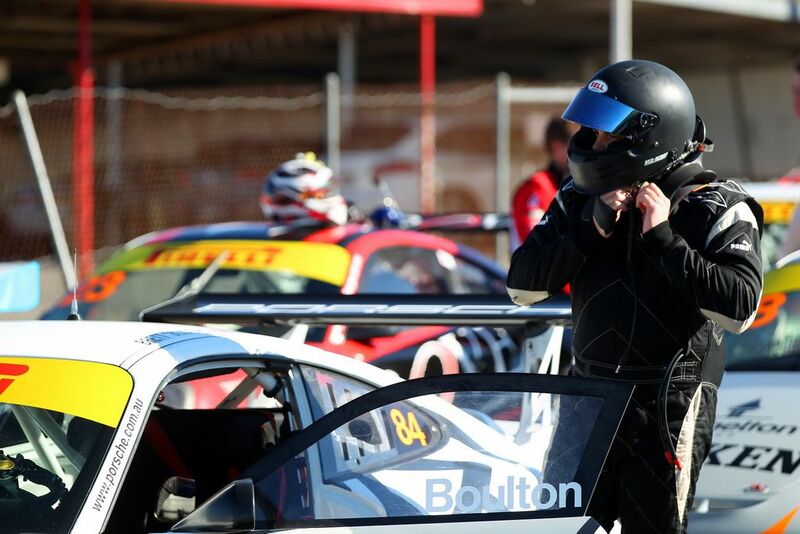 Anthony Gilbertson had lost ground in his quest to win the 2017 GT3CC Elite Championship and was very keen to get his campaign back on track while Brett Boulton was looking forward to his third ever GT3CC round and racing at the challenging Winton circuit. We had tested there in May, so were confident we were as prepared as well as we could be. 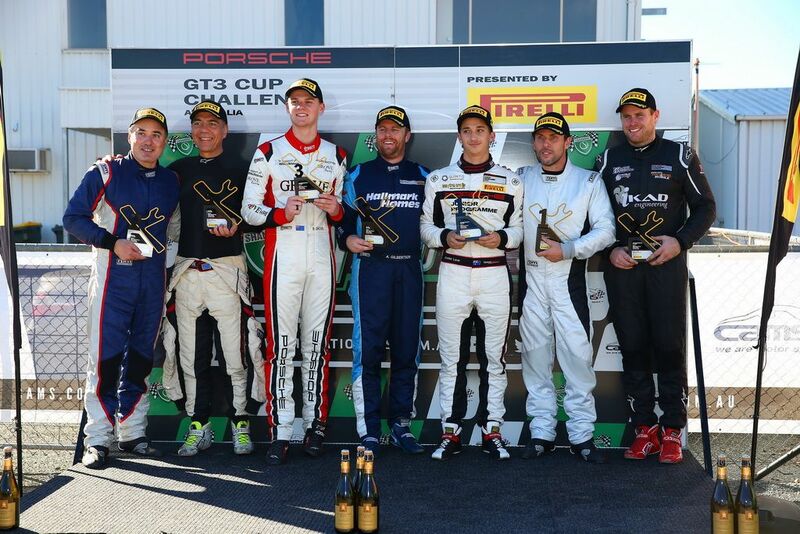 Anthony Gilbertson did an extraordinary job in qualifying and made GT3CC history by becoming the first Elite class driver to qualify on outright pole in addition to Elite class! He led the opening 39 lap 'Jim Richards Endurance Trophy' race until a nice pass from Peter Major. He then had a dice with young-gun Jordan Love and was running a comfortable 3rd outright until a safety car intervention on lap 23. After the restart young pro Brenton Grove made a daring move leaving Gilbo to fight off a very hard charging Karytinos until the end of the 52 minute race. It was a very well deserved Elite class win and great turn-around after Phillip Island. Anthony started race two from grid 4. He got a blinder of a start but didn't have room ahead to make a pass into second. He had a great race with young pro Brenton Grove ahead and withstood plenty of pressure from Karatinos behind, but held his nerve and took his second Elite win of the weekend. Race three was similar to the second race in that he got another cracker start but was unable to capitalise on it. He once again piled the pressure on young Grove and had to manage advances from behind from Karytinos and then Shahin. He kept his cool to take his third win for the weekend and complete his clean sweep. 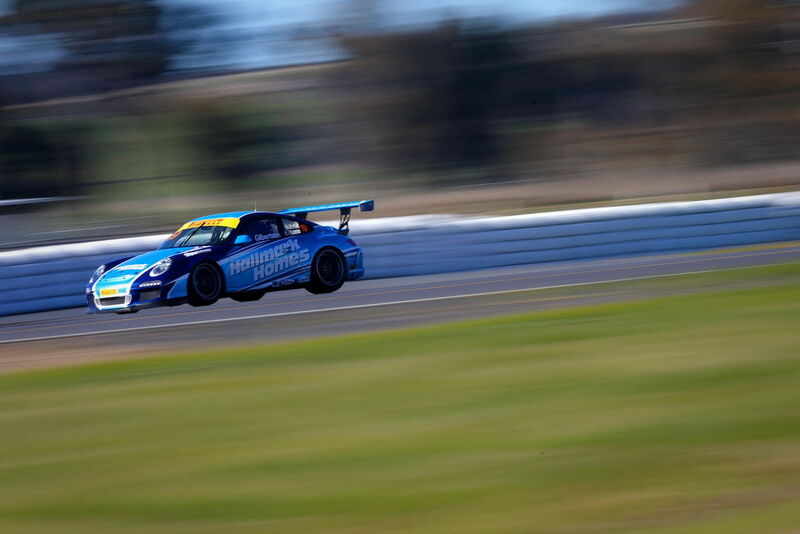 Brett's impressive form continued at Winton, with him qualifying a very strong 5th in Elite class, putting him on row 4 for the start of race 1. 'Blisters' got a bit excited after a good start and had a spin at turn 1 putting him to the back of the pack. He put in a super effort to make his way up to 8th (5th in Elite). After passing Marcel Zalloua he was running in on his own in 9th place with a large gap ahead to Steffensen. After the safety car intervention on lap 23 bunching the field, he had a ripper 3-car dice with Steffenson and John Morriss all fighting over 7th place eventually getting better of both cars on a thrilling last lap. Brett should have been able to start race two from grid 7, but a driveshaft (disappointingly, halfway through its life span) failed on the warm up lap which stopped him from starting the second race. We were impressed with his ability to deal with the adversity and focus on the positives. The crew had a short turn around before the third and final race, but had the car ready in time. Brett started race three from rear-of-grid and drove a terrific race making plenty of well-judged passes to finish 8th outright and 5th in Elite. There were plenty of reasons to be happy after Winton, particularly Anthony's history making pole and outstanding clean sweep of the weekend bouncing back from a disastrous Phillip Island round in the best possible way. He has also jumped back up to third in the Elite Championship. 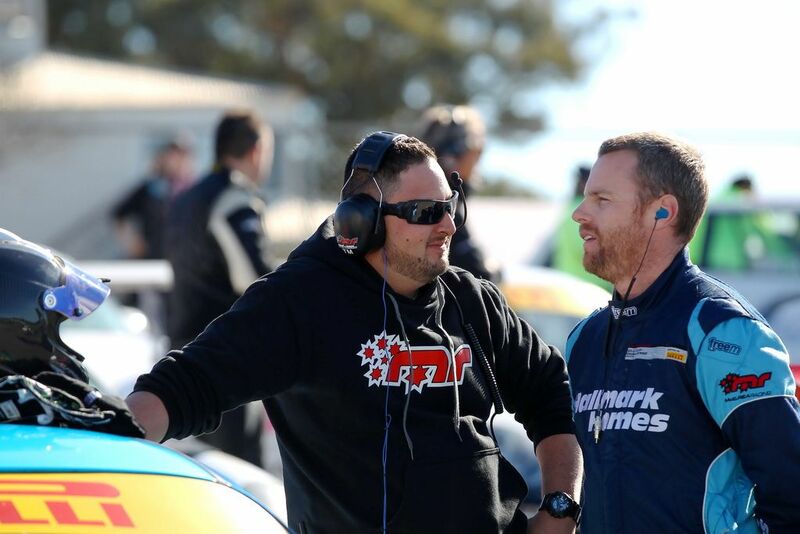 Brett continued learning more about driving these very demanding race cars and is looking forward to the next round at Sydney Motorsport Park. 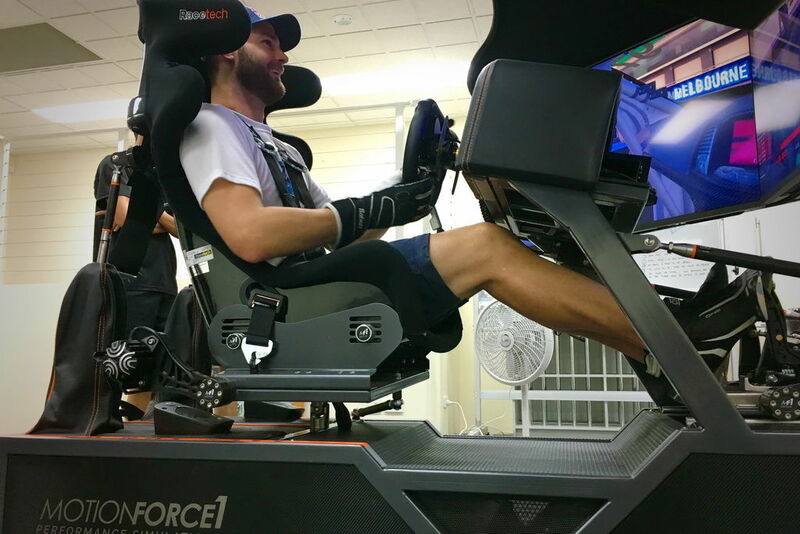 As he hasn't raced there before, he will be spending plenty of time on the Motionforce 1 Racing Simulator over the next few weeks! There is no doubt he will be back on the podium soon. 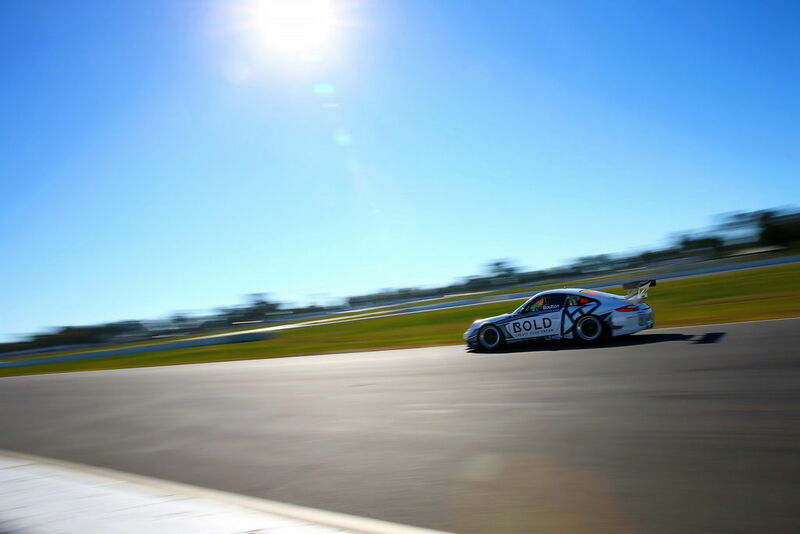 We'll head home for a couple of days then hop on the big bird to Darwin for Round 4 of the Porsche Carrera Cup!